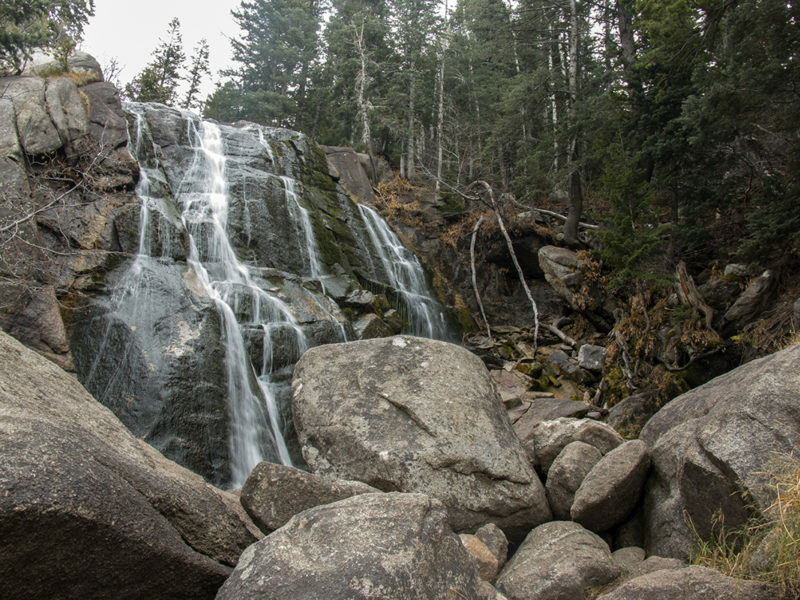 Hiking to the lower falls at Bells Canyon is a fun and challenging hike that rewards you with a lovely waterfall and a beautiful view of the Salt Lake Valley from the canyon. 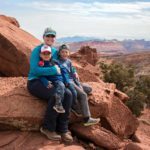 This is a trail best suited for big kids and adults. Babies and toddlers should be worn. 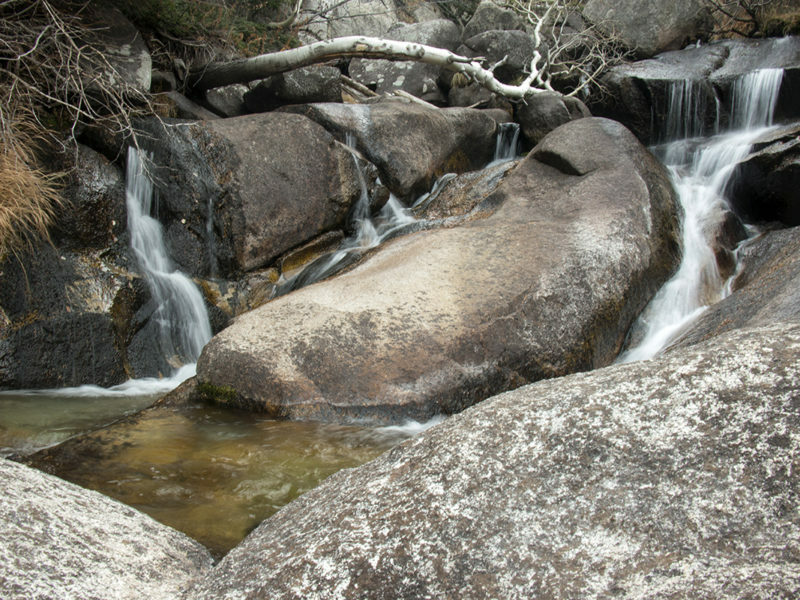 You can reach this waterfall from either the Granite or Boulder Trailheads. The Granite Trailhead is my preference because it has toilets. The beginning of the hike takes you to Bell Canyon Reservoir and starts with a half dozen rocky switchbacks, then you get into Bells Canyon and the reservoir. From there you veer to the left and head up a fire road for a short while. 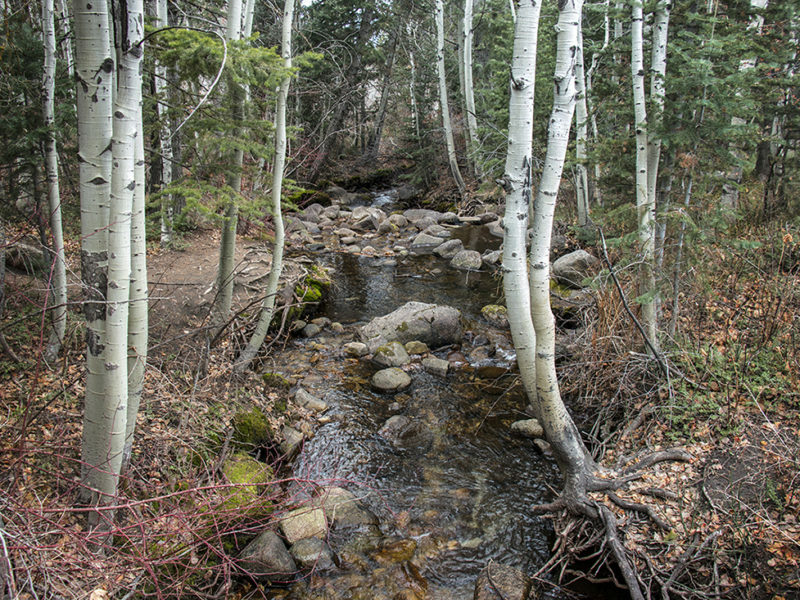 You’ll see a small sign that shows where you make another left further into Bells Canyon. There’s a lovely meadow with a beautiful view of the canyon just before you reach the creek. 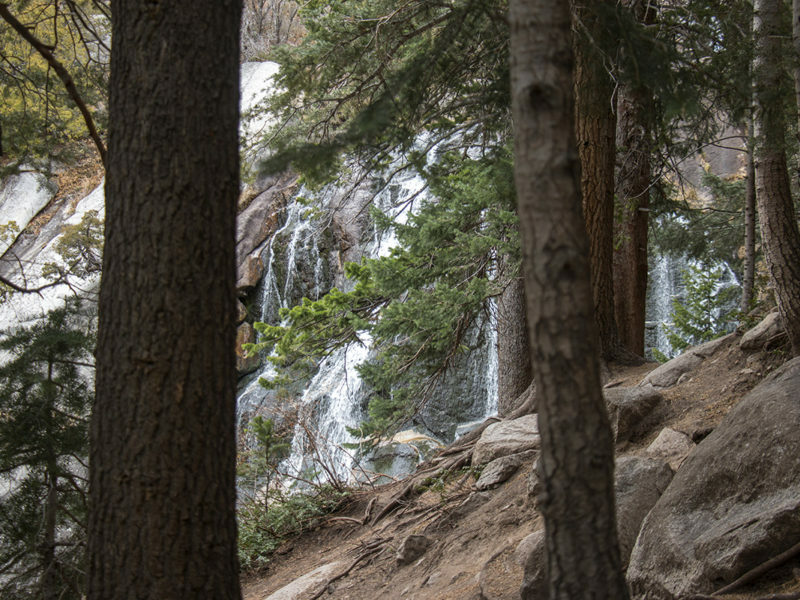 From there, the trail heads up, skirting the creek, and you’re climbing the rest of the way to the falls. It gets pretty steep right before you get to the falls. I’d recommend not going if there’s been recent rain or snow. That last part of the trail could be very slippery if muddy or icy. I’ll add more photos and info in the late spring 2019, once the trail thaws out. Beautiful waterfall is a great reward after some climbing. 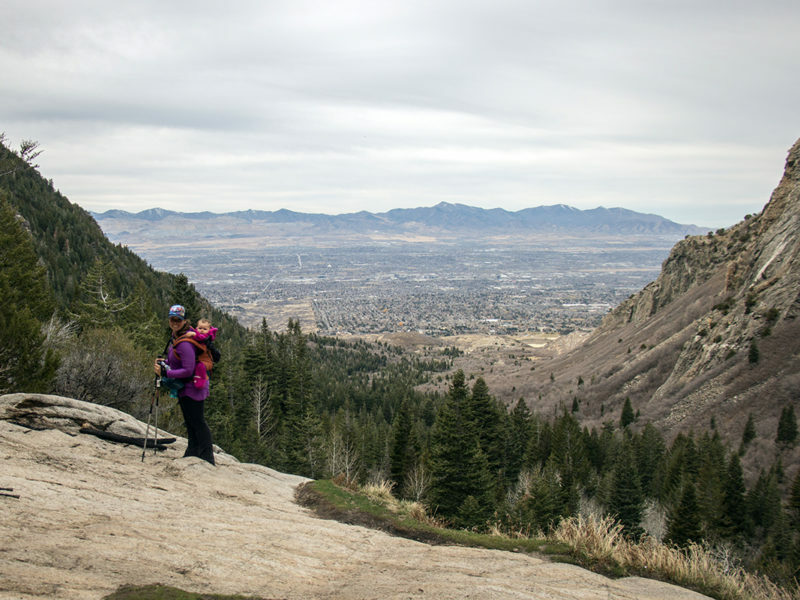 Panoramic views of the Salt Lake Valley. The second half of the trail is a steady climb. Catch-and-release fishing is allowed at the reservoir, artificial lures only. No swimming or wading is allowed in the reservoir. There is a drop-off on one side during a small part of this trail. There are vault toilets at the trailhead that are usually open year-round. They are sometimes closed after heavy snowfall. There is a parking lot at the trailhead that can hold about a dozen cars. If it’s full, there’s an overflow lot on Wasatch Blvd, just south of Little Cottonwood Canyon Rd, with lots of extra parking. You can only access it from northbound Wasatch Blvd. From I-15, exit 9000 S and head east. After the road does a large S-curve it turns into 9400 S. Continue heading east. 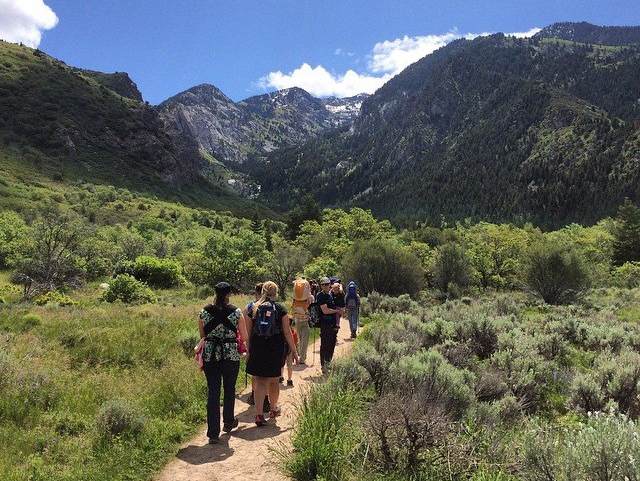 The trailhead parking lot will be on your right, just after you cross Wasatch Blvd.